So finally you have started shopping for your fairy tale wedding! Since childhood, every girl dreams of this day. It is that day of a girl’s life when she looks no less than a princess. This day belongs to you, my girl, and you deserve to have the best of everything- the most beautiful lehenga, stunning jewelry pieces, beautiful mehndi design and makeup that highlights your most beautiful features. Most of the wedding preparation is taken care by family and close friends but clothes and most importantly the bridal lehenga is chosen by the bride. With so many stunning options available and not to forget, suggestions from family and friends, it’s no surprise that nearly all would-be brides get confused about the look. Some choices are timeless like the red/maroon/pink lehenga with choli which is the reason these are undoubtedly the most popular choices when it comes to bridal wear. But who says that you can’t experiment or follow the fashion trends? The 2015 summer brides have a lot of options with respect to to style, color and fabrics. Since the last few years, top Indian designers like Sabyasachi Mukhrjee, Manish Malhotra, Neeta Lulla, Ritu Kumar etc have showcased designs that are elegant, stunning and yet out of league. The bride is transformed into a queen with a distinct style and lots of oomph. Zuri has compiled a list of 30 designer bridal lehengas inspired by summer motifs. If you are a summer bride then go ahead and check out these drool worthy lehengas. Besides the heavy and intricate embroidery work or zari work, motifs have also seen a comeback in the last few years. Some of the most popular motifs extensively used are royal figurines, ambi (paisleys), lotus, floral vines, and quite recently roses and floral patterns. 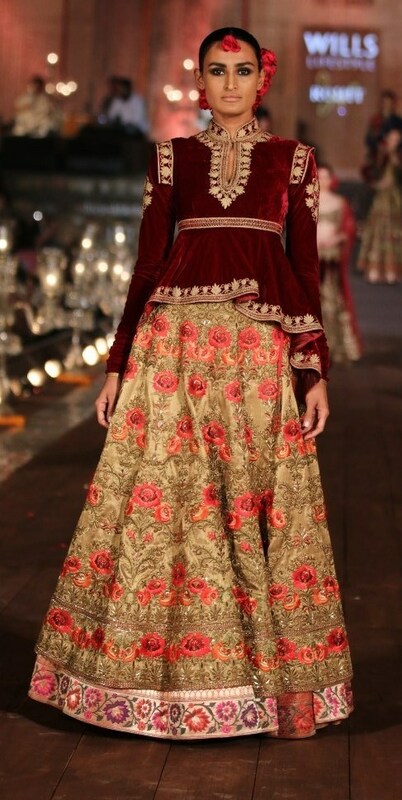 Some of these motifs have been delicately incorporated along with the intricate embroidery work in the lehengas below. From colors like pastels, turquoise green, lime to even gold, red and navy blue, you’ll find bridal lehengas in all colors and patterns. 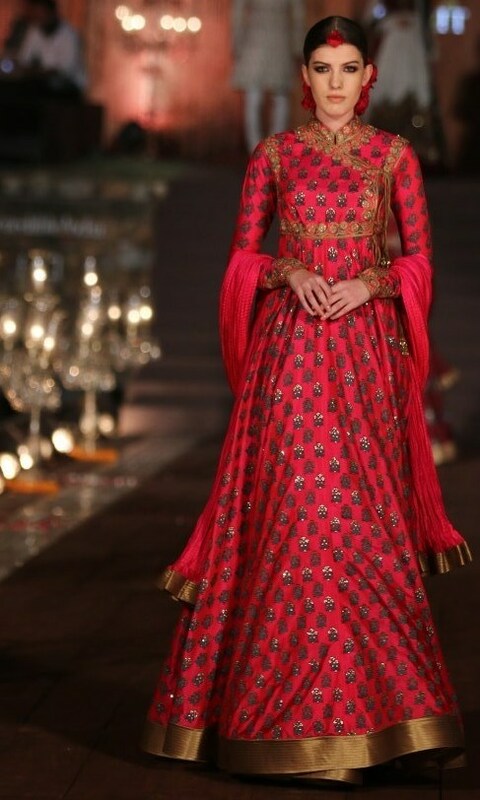 Layering of fabric was also a big hit in bridal lehengas as it was in other kinds of outfits. We know it’s very exciting to shop for your wedding trousseau but don’t buy anything in haste. We recommend that you avoid colors that are too stark or bright. Choose shades that are pleasing to the eye and compliments your skin tone. The key is to feel comfortable in your bridal wear so that you can enjoy all the functions.